Something came up on a VO forum the other day and it has been on my mind ever since. With everyone trying to find something interesting to post on Twitter, Facebook, LinkedIn, Plaxo, MySpace, their blogs – when does it cross over from pertinent, interesting, amusing to just blatant self-promotion? Actually, you find a lot of people hawking their wares who will never be interesting or amusing. Think about your experiences in real-life face-to-face situations where you walk into a room and instantly move away from the really irritating person who you know is going to talk your ear off about themselves and how you should hire them for something. You don’t like it there, why should it be any different online. I’m going to grab another cup of coffee – I need to put on my thinking cap before going online to update my status. Want to contribute something pertinent, valuable, insightful or at the very least funny. Had two back to back phone patch sessions today that started me thinking again about the various methods of doing a session. Live in-person at an outside studio. ISDN. Phone Patch. Self-directed. There are pros and cons for each depending on various factors such as the type of script and how far away the outside studio is. The first session today was with a studio that I have had to drive to in the past for sessions. It is up in Orange County. I’m practically in downtown San Diego. The last time I made the drive – about 1.5 to 2 hours or so depending on traffic – was the day Sarah Palin was announced as a Vice Presidential Candidate. The drive up and back that day was anything but boring. But it does take a chunk of time out of your day – a minimum of about 4 to get there, do the session and get back home. So, I was pleasantly suprised when I got the call to do the session and didn’t have to make the drive. This particular studio has ISDN as well, so I tried to plant that seed with the producer for the future. The second session was a conference call phone patch session with a director in Texas and 5 clients scattered around the country. The session started with technical difficulties – which is one of the drawbacks of trying to be the engineer AND the talent. I had some stray pixels that wouldn’t clear from my recording software, so I rebooted while they discussed the approach that they wanted me to take. 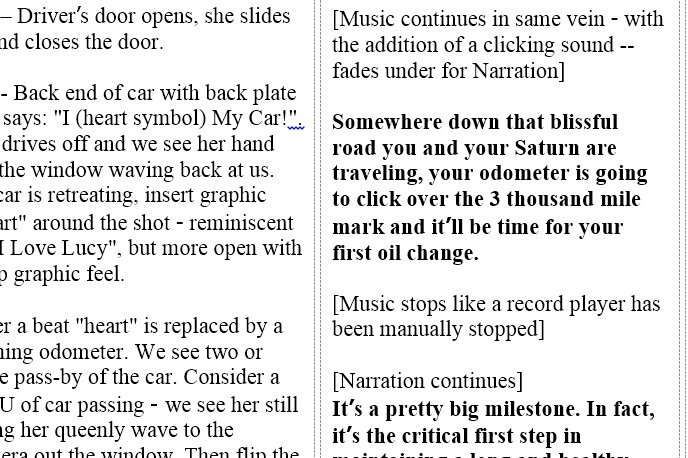 After the computer came back to life, Audition wouldn’t load, so I switched over to Word2Wav to capture the audio. To save time, I just used the last script that was in that program and made a note as to where the files would be stored. After recording the first two paragraphs, Audition finally decided to load and I finished the session on that software. With the outside studio option, none of the engineer issues fall to the talent. With the ISDN option, some of the engineering issues rest with the talent – making sure you know how to set the codec to talk to the other codec and probably more important, making sure that someone at the AT&T hub hasn’t switched off your long-distance connection. That means having a phone number at the ready to the right department. Not very many people there even know what ISDN is and immediately try to sell you DSL or U-Verse instead of listening to the words coming out of your mouth. With Phone Patch, ALL of the engineering issues fall to the talent. We need to make sure the client can hear us clearly. We need to make sure that what they hear is actually recorded. We need to save in the right format. We need to clean the files. We need to have a dedicated ftp option. But at least we get to interact with people and make them happy with our great work and our amusing comments (as appropriate). Self-directing is the last option. Some scripts do not need a director and self-directing is the only way to go. With self-directing we still have to do all the engineering, but we can take as much time as we want. We can screw up and no one will be the wiser. We can run to the potty if necessary. But we are operating in a vacuum, so we must be able to know that the read we submit will be what the client is expecting – not hard for some kinds of scripts, but VERY hard for other kinds of scripts/clients. Friday is REALLY noisy around here. And even noisier every other Friday when the Black “trash” AND the Blue “recycle” bins are picked up. Prior to the trash trucks grinding down the alley – are the alley elves who push their shopping carts along looking for bottles and cans to recycle. Then there is the Volkswagon that comes home at noon everyday down the back alley and idles while the garage door goes up – then revs up and goes into the garage. Add that to the random and scheduled selection of police and news helicopters and my frustration level definitely goes up on Fridays. But for some reason, during a session, things seem pretty quiet and when something does rumble past in the alley or overhead it is only the smallest of interuptions. So why do these interuptions bother me so while I am trying to get auditions done on Friday! I didn’t have any paying gigs today. I did get a couple of bookings for next week. I deleted a bunch of auditions from Voice123 and Voices.com that just weren’t right for me. I spent some time at my mom’s trouble shooting an Internet purchase and doing some gardening. But that left lots of time for webinars! The morning webinar was being put on by Peachtree – somewhat “selly,” but I think I got some inspiration and motivation for ways to maximize the effectiveness of social media/networking for professional associations. In this case MCA-I – Media Communications Association-International. We have a LinkedIn page, several pages on Facebook (the international office and a couple of chapter pages), Plaxo, a Twitter account and we also had something on MediaPost, but that venue is under review at the moment I guess. The afternoon’s webinar was a two-hour board of directors meeting for MCA-I. While I am not on the board right now, I am the webmaster and do most of the communications, so my presence is required for most meetings. We are using GoToMeeting/Webinar now and it is working out pretty well after a few rocky attempts. In between webinars, the emails were flying. The finishing touches are being applied to the annual MCA-I Media Festival – which is moving online this year. A few minor updates are still to be made, but if you want to start figuring out what to enter this year – the 41st Annual Media Festival bestowing the coveted Golden Reel, then pop over and take a look at the Categories. But it’s not all mom time. Some of it is morning coffee time with my friends. Some of it is exercise time. Some of it is theater time – and lately a lot of it has suddenly been blog time. But the good thing is that despite this increase in time spent on personal things, my income is holding steady. 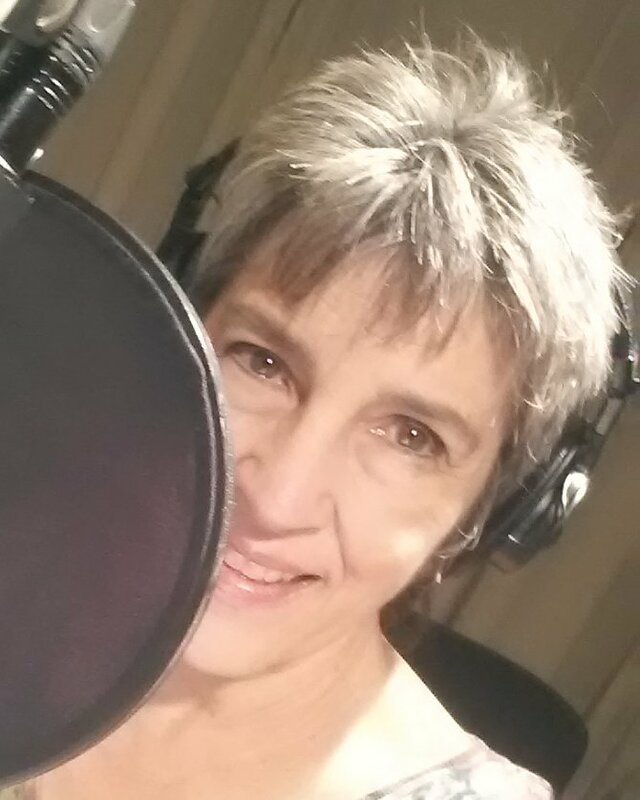 After being in the voiceover business – on and off full-time since the early 80’s – I am only recently realizing the problem with trying to be all things to all people. I am versatile – no doubt about that – but I am finding that because I have been doing so many different kinds of things for so many different people, the sheer number of clients I have is daunting. But it really is time to start capitalizing on my talent and experience, so the Gold (Marketing) and the Yellow (Training) categories have been more visible in my Calendar as I hone in on the areas that will help me keep the Green ($$) coming into my bank account as the level of Orange in my Calendar increases.